A physalia or a floating terror. 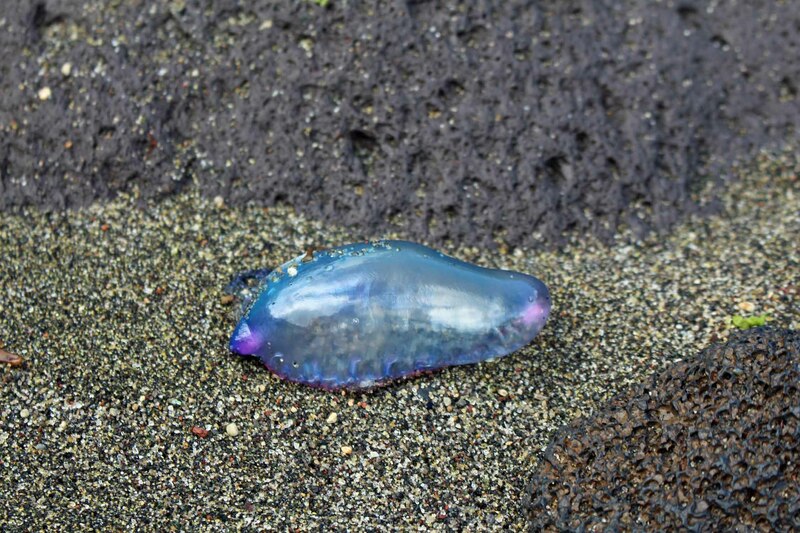 It is is a sort of marine siphonophore and contrary to appearances, it is not a kind of jellyfish. The poison of the physalia is dangerous to humans.